Built in Montana, this is Bob’s tone monster. Beautifully finished, Bob added a few of his own mods. He has taken the finish off the back of the neck to accommodate less friction and drag (and exposing the wonderful tiger stripe maple patterns!). Bob uses the Blue Chip CT 55 pick for his vamps and notes. Hundreds of hours of picking with it and it still looks and plays like new..how do they make these things? Lisa’s banjo is the Nechville Vintage…hand made in Bloomington, Minnesota and featuring the “Durable Corona Heli-Mount Frame” design exclusive to Nechville. Of course, the head is tuned to a G#…why do even have to ask? Dean;s bass is an Ibanez AEB. It has a 32″ scale length and he has removed all the frets from it. It is, thus, a fairly “rare” version of the Ibenez Acoustic Electric Bass line. He also scraped all the finish off the back of the neck thus transforming it to a “fast neck.” Some day when he has nothing else to do he might drop in a nice maple bone tree logo inlay at the G position. Like most guitars this one has has lots of cool buttons built right in that keep Dean busy for most of the time they play in concert. Someday he hopes to figure out what they do. His practice and giging amp is a Peavey Max 110. Not the most powerful amp in Colorado but it is easy to haul around and sounds great! 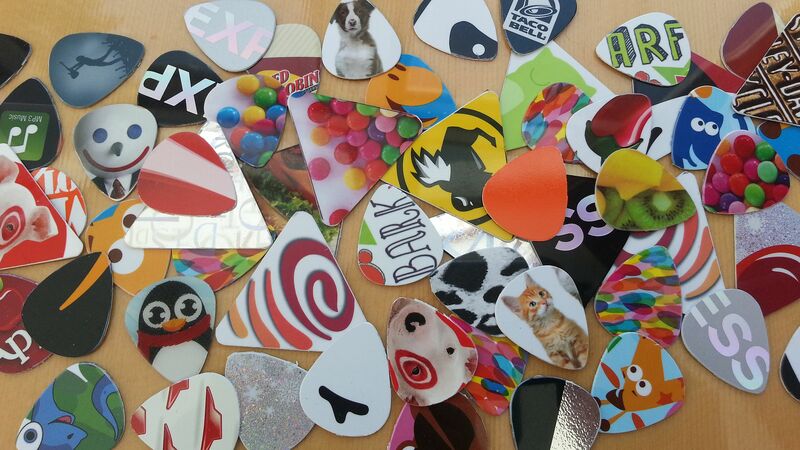 Dean sometimes uses picks to play his bass and his picks are all hand made from old debit and gift cards…cards he collects from various sources. He has hundreds of them. Some say he is obsessed with making picks. If you ever need one, he would be happy to give you one. Here are just a few of Dean’s picks. He makes them all by hand. The Taco Bell pick near the top, center is one of his favorites, of course. This is Bob’s guitar and, on some songs, Dean plays it. 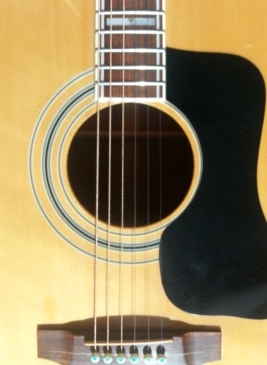 This guitar is one of the infamous “lawsuit” Takamine guitars from the ’70s. 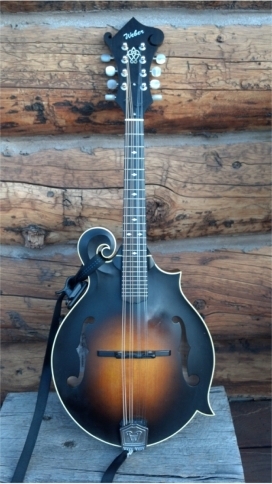 It is modeled after the Guild F-50 and these actually sometimes sell for more than their Guild relatives. Yes…a beautiful guitar that sounds as good as a Guild…and stays in tune! Lots of songs have come out of this box! bone tree currently uses 13 gauge bronze strings on this guitar.